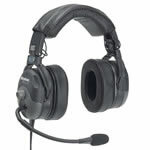 View cart “David Clark H10 13.4 Headset” has been added to your cart. 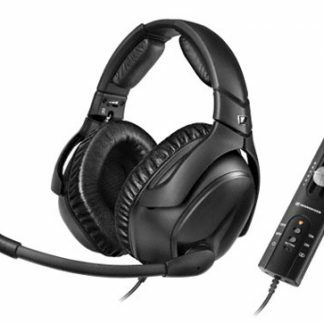 David Clark Pro-X hybrid electronic noise cancelling aviation headset. Forward-thinking, ergonomic design provides a lightweight yet rugged platform. Evenly distributes headset weight for added comfort and is fully adjustable for a personal fit. Fully adjustable suspension assembly integrated with headband for personalised fit and comfort. Ultra soft leatherette head pad with breathable, vented design virtually eliminates ‘hot spots’ and keeps the top of your head cool during long flights. Disperse clamping pressure for secure yet comfortable fit and allow headets to conform to the sides of the head. Plush, dura stitched leatherette ear seals with slow recovery ‘memory’ foam fits comfortable on your ear. Round supra-aural (rest on ear) design reduces heat build up to keep ears cool, even during longer flights. 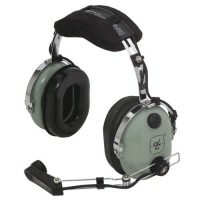 Provides best in class active noise reduction with leading edge ‘feed foward’ and ‘feed back’ technology. External microphone on the dome picks up noise from the outside, before reaching the ear canal for superior noise attenuation. 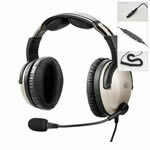 Ensures high fidelity audio for superior communications and music listening. Offers enhanced noise reduction for crystal clear transmission. Full flex boom for precise microphone placement. Smart headset design collapses for compact storage in David Clark headset bag. 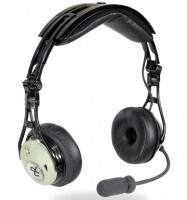 The DC PRO-X comes in a rugged nylon, David Clark company branded headset bag with shoulder strap. 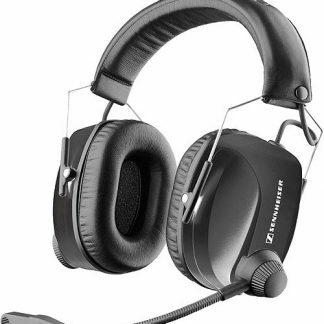 Hybrid Electronic Noise Cancelling features two microphones – one located on the exterior of the ear dome and isloated from the speaker (feed-forward) and a second internal microphone placed near the speaker (Feed-back). The exterior microphone acquires the noise before it gets to the ear canal. Working in concert with the internal microphone, the signals are them inverted to produce a reverse ‘anti-noise’ signal, resulting in unsurpassed active noise reduction performance. Internal microphone signal provides feed back noise reduction. External microphone signal provides feed forward noise reduction. Up to 50 hour battery life (2 x AA batteries). Dual voice coil transducer for fail Safe Operation. Digital signal Processor (DSP) provides clear communication and high fidelity audio.